The Holiday Season's Most Spectacular Craft Show! The La Crosse Center hosts the Holiday Fair each November. The Holiday Fair, since 1964, has become a tradition in the City of La Crosse with families coming to gather here every year. The Area’s Most Spectacular Craft Show! The following form is an application for the Holiday Fair. All items MUST be handmade by the crafter. Please note that it is not a contract and payment is not to be submitted with the application. We will contact you for further information if you have been accepted into the Holiday Fair. Remember to send in a few pictures of your craft along with your application. Applications are kept on file for one (1) year. Please keep in mind that the Holiday Fair is a four (4) day craft/gift show and that it is required that your booth is manned for all four (4) days. Since this is a “holiday” event, it is also required that you decorate your booth in either a Christmas or winter theme. 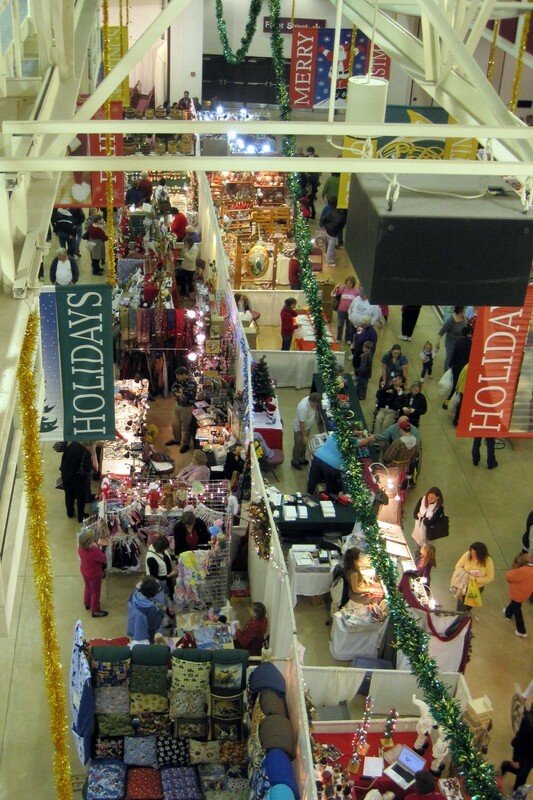 The La Crosse Center hosts the Holiday Fair each November. The Holiday Fair, since 1964, has become a tradition in the City of La Crosse with families coming to gather here every year. The Holiday Fair is a Holiday event for children of all ages. Door Prizes are given out every hour, every day. Santa Claus will be available for photographs daily. Also, Rudolph, the red nose reindeer, makes special appearances throughout the show. We strive to make the Holiday Fair an enjoyable time for everyone. The South Hall, at the La Crosse Center, is decorated in a Christmas/Winter Theme with Holiday music playing throughout the hall. Please Join us November 15-18, 2018 for a shopping experience you won’t forget. Mark your calendars now! Note: Holiday Fair always takes place over the weekend (Thursday – Sunday) before Thanksgiving. Thursday, Friday: 12:00 – 9:00 p.m.
Thursday, Friday: 1:00 – 4:30 p.m. and 5:30 – 8:00 p.m.
Saturday: 10:00 a.m. – 12:30 p.m. and 1:30 – 4:30 p.m.
Sunday: 11:00 a.m. – 2:30 p.m.